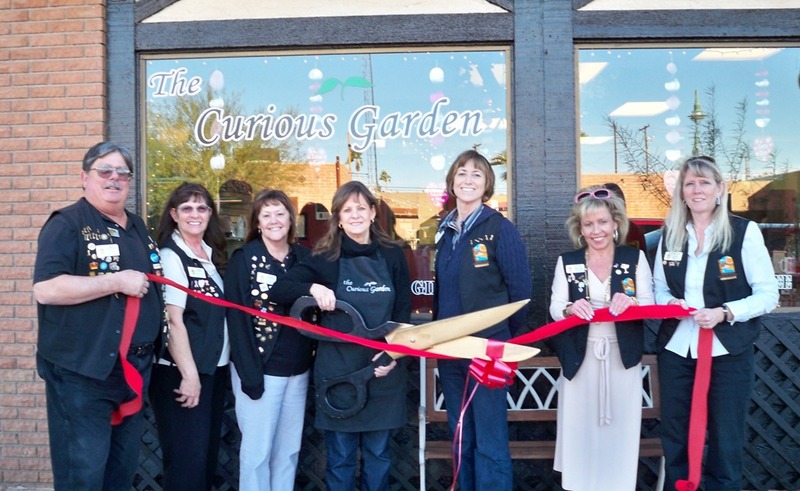 The Lake Havasu Area Chamber Ambassadors held a ribbon cutting for The Curious Garden located at 2018 McCulloch Blvd. An eclectic mix of the unusual best describes this coffee, tea and gift shop located in the heart of the uptown district. The Curious Garden can be reached by calling 208-1251 or on the web at www.curiousgardens.com.